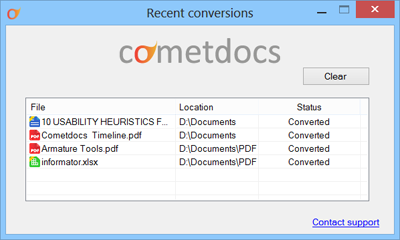 Convert files quickly and easily by using Cometdocs from your desktop. 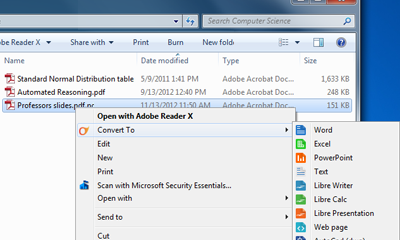 Convert a file with just one click. Use our service without having to open your browser or email client. 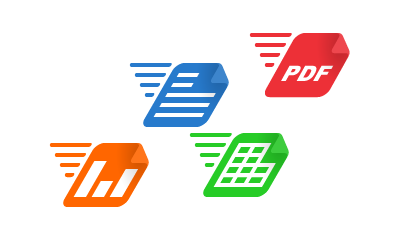 With one right click on any document, you are presented with the file conversion options for that document type. Once you have chosen your conversion, the file will be automatically converted and downloaded to your computer in a matter of moments. 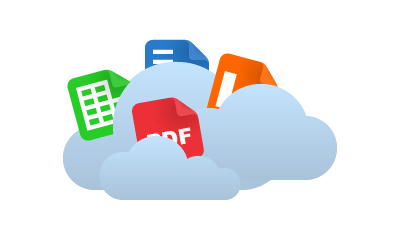 The converted file is automatically downloaded into the same folder in which the original file is located, making it extremely convenient to convert files from your Dropbox, Google Drive or other cloud storage folders. Installing the app is quick and easy. It is extremely light-weight and uses very little of your system resources. The entire conversion process is the fastest offered in the industry and since the actual process takes place online, the app itself will never slow down your computer while you are uploading and converting files. Uploading large files via web browser can be a huge inconvenience, slowing down your browser and not allowing you to multi-task. Simplify the process and avoid these hassles by sending large files to your Cometdocs account right from your desktop. 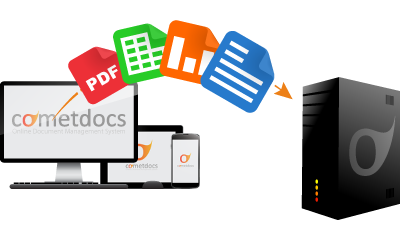 Along with its file conversion options, the desktop app also allows users to to send files from their PCs to Cometdocs for storage purposes. Back up your files at Cometdocs with just one click and access them anytime from anywhere.